Whether you’ve got body tattoos or not, anyone with any sense will always approach tattooing with the mantra ‘think before you ink’. Tattoos are for life, and a regrettable inking could be around to haunt you for a very long time. 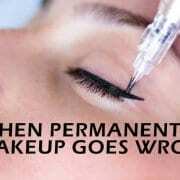 It’s no wonder, therefore, that people are understandably afraid of applying makeup tattoos to their faces, in case they live to regret it later. If you’re considering eyebrow tattooing and wondering if it’s worth it, here’s what you need to know about this semi-permanent makeup treatment. 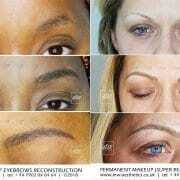 How are permanent eyebrows applied? Getting your eyebrows tattooed is a great way to add instant shape and an attractive frame to your face. The process involves using a technique called micropigmentation, also known as cosmetic tattooing or semi permanent makeup, which is where a small amount of coloured pigment, similar to that used in traditional tattoos, is injected under the skin. Because of the techniques involved, an eyebrow tattoo does not need to look like a tattoo at all. Good practitioners will use a meticulous, painstaking process of applying each hair individually, to make your eyebrows look totally natural. 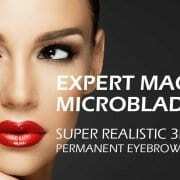 You can also look into the 3D semi permanent eyebrows treatment, which uses shading around and between the individual hairs to create a three dimensional finish that’s the most realistic to date. The end look is up to you. 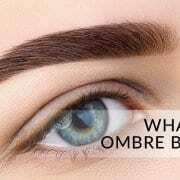 If you simply want a nice shape to your natural brows, you can opt for a softer, feathered approach to your tattoo. If you love a bit of drama and want your eyebrows to look made up all the time, talk to your practitioner about darker, more solid eyebrows. The tools and techniques are incredibly flexible, so whatever you want the finished look to be, a professional permanent makeup artist will be able to help you achieve it. How are they different from standard tattoos? The pigment is different: Makeup tattoos pigments are designed to degrade over time. This means there is no danger of that nasty blue hue occurring that you get from old, black body tattoos. The tattoo is placed higher in the skin: A body tattoo is implanted into the lower layer of your skin, known as the dermis. Here, cells are much more stable and the tattoo will remain in place for the rest of your life. Cosmetic tattoos are placed in the upper skin layer, known as the epidermis. The tattoos are not permanent: Because the tattoo is in a higher layer of your skin, as the cells turn over the makeup will start to fade. Most eyebrow tattoos will last around 3 – 5 years, but may need touching up in that time. After five years, they will pretty much fade out forever. The pain level is lower: Getting a body tattoo, depending on the area to be treated, can be immensely painful. Eyebrow tattooing is not anything like as sore, and is probably on a par with the discomfort you feel from plucking your eyebrows. Practitioners are trained differently: Tattoo artists go through completely different certification to cosmetic tattoo practitioners. We need to learn colour theory, facial structure, skin tone matching and a whole host of other key skills. 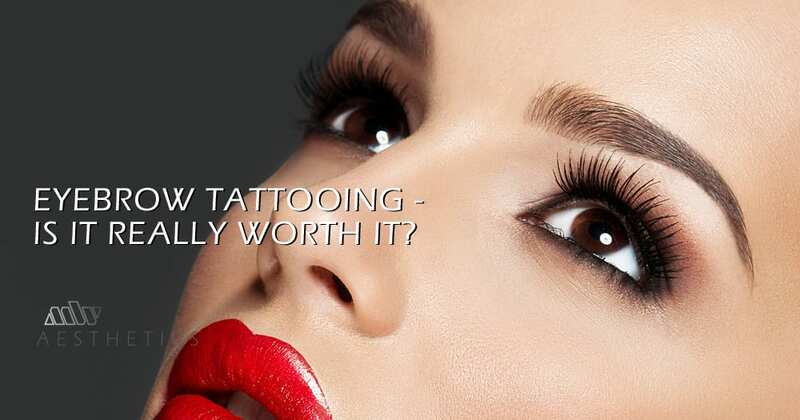 There are loads of other differences between signing up for a permanent body tattoo and going for semi-permanent make up, but these give some insight into the main and most important differences to remember. As with any sort of body tattoo, there are some risk factors to take into consideration. Thankfully most of these are very rare, and are easily mitigated by some intelligent choices on your part. Infection and disease: Going to an unprofessional permanent makeup artist who perhaps doesn’t operate under the best hygiene practices, could leave you open to infections, blood diseases and other health problems. Sticking with certified, reputable practitioners who have been recommended by others is the best way to avoid this issue. Being unhappy with the shape or colour: Although you should have a full consultation to decide on the shape a colour you’re going to have, sometimes things don’t work out quite as you’d hoped they would. Going to an inexperienced or unqualified practitioner leaves you open to the risk of not ending up with the look you thought you were getting, to stick to recommended professionals to avoid later disappointment. Not loving it a year later: Pink eyebrows might be all the rage this Spring, but what if by Christmas you hate them? Waiting for them to fade is probably the best option, or some salons may offer a laser fading treatment too. The best advice is to avoid going with fads or trends, and pick a classic shape and colour that you can tailor with makeup to develop different drama and looks. The cost: The initial investment in eyebrow tattoos can be a tough hurdle to overcome. You can certainly save money long term by investing in eyebrow tattoos, but there is a high initial outlay to cope with. However, don’t be tempted to go for the cheapest treatment you can find, as cost usually equals experience, and you’ll want someone experienced to work on your face. The majority of problems encountered in permanent eyebrow treatments are a result of either bad work on the part of the practitioner, or the client not following aftercare instructions. Pick your provider carefully and be prepared to take care of yourself, and you’ll be sure to avoid all these issues. So, are semi-permanent eyebrows worth it? We think so. Here are just a few of the benefits you can expect to enjoy after getting your eyebrow tattoo. Make up no more: Forget about faffing around gelling, colouring and plucking your brows. Wake up to perfectly shaped eyebrows every day. Natural, beautiful brows: Don’t worry about people knowing you’ve had a procedure. The finished look is so natural; all they’ll see is a beautifully framed face. Solutions for problem brows: Tattooed eyebrows don’t rely on your own hair being full enough in various places to get the look you desire. Even if you suffer with thin or over plucked brows, you can get a gorgeous, full look today. 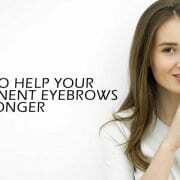 Cost savings too: You can quit buying eyebrow pencils, tints, colours and brow powders right away, because your eyebrows will look perfect all day, every day. No smudge or smear: You can go swimming, for a sweaty gym session, get caught in the rain and can touch your face as often as you want. Your eyebrows will never smear or smudge again. Getting your eyebrows tattooed in might sound like a radical step, but this is one of the fastest growing treatments in the UK today. More and more people have started realising the benefits of semi-permanent brows, so if you think you’re ready to take the plunge and find out more, contact us for advice today.